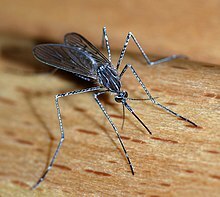 Sunshine State Sarah: Pioneers battling space mosquitoes! Huh? Pioneers battling space mosquitoes! Huh? First, the "infuriating" part: I'll admit I am far from unbiased, but is anyone else bothered by how calmly and glibly Nelson rattles off the thousands of lost space industry jobs (starting about the 1:30 mark)? Apparently everyone who lost their job just needs to sit tight and wait for that "new rocket to Mars" contraption to get built. Anyone want to take bets on how many years that will take? There isn't even a design for the capsule yet. Look, I am in favor of having more participation from private industry in space travel. From what I understand, several of the private companies have made great strides towards being able to launch vehicles capable of orbiting the earth, reaching the international space station, and other functions performed by the space shuttle. However, they're not ready yet, and I am very uncomfortable with the idea that we have cancelled both the shuttle program and the Constellation program before we had a viable replacement. We have risked our security and our sovereignty by ceding complete control of space to Russia and China for years to come. If we had to describe our relationship with those countries on Facebook, the best we could hope for is "It's Complicated." The Cold War may be over, but tensions with Russia remain over numerous other issues, such as Iran's continued nuclear ambitions. And let's not forget the mind-boggling amount of money we owe China. Do we really want the lives of our astronauts and millions, if not billions, of dollars worth of our technology to be susceptible to being used as leverage against us in an already complicated world of international diplomacy? Next, the "unintentionally hilarious" part: at about the two minute mark, Smith mentions how the Brevard County area feels like "a step back in time" and retains much of its "Old Florida" charm, and Nelson starts rambling about pioneers and mosquitoes. And the pioneers are the ones who really made it possible, back when there were rattlesnakes and alligators and mosquitoes. Do you remember the mosquitoes? And they forged out of this wilderness a space port that has taken us to extraordinary heights and is now going to take us to Mars. Just like the pioneers battled! Huh? Ummm, Senator? Last time I checked, we still have rattlesnakes, alligators, and mosquitoes in Florida. I've seen native alligators with my own eyes several times at Lake Alice, Payne's Prairie, and other state parks too many times to count, and I am currently sporting three itchy spots of evidence from this weekend that prove Florida currently has mosquitoes! I'll let you decide what the heck Nelson meant when he said that the pioneers built a space port. It's way past time for Bill Nelson to retire. "Back when there were mosquitos?" It would be hysterical if he weren't a United States Senator! The High Costs of Obama's Medicare "Reform"
Go see the Sarah Palin movie...I dare you! Nazis are attacking the St. Pete Times!